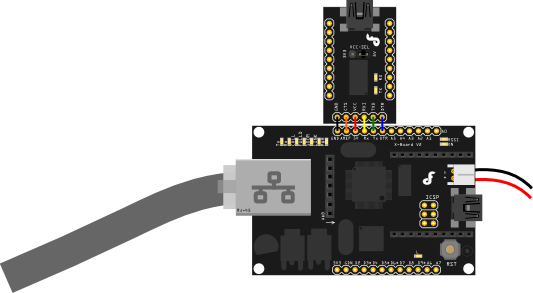 This XBoard V2 is Version 2.0 of the X-board of IOT. The main improvement is that it now operates at 5V, making it compatible with most sensors and I2C protocol with out the need of a voltage level converter. 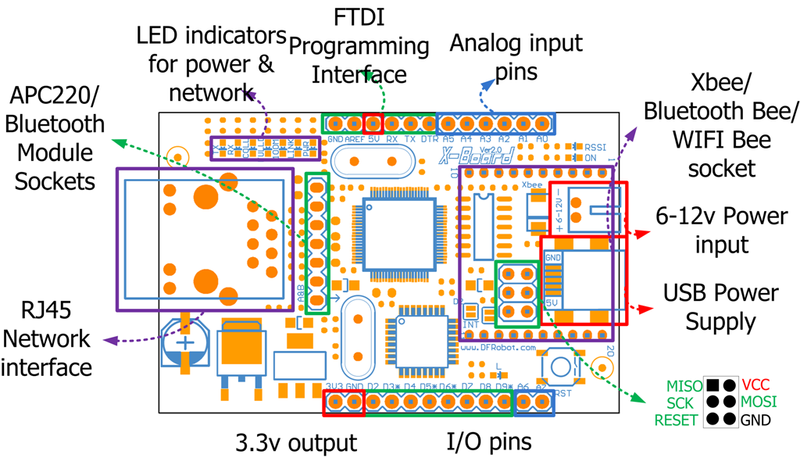 This connection diagram shows how to connect the FTDI programmer to the X-board for uploading an Arduino sketch. NOTE: Please select "arduino UNO" from the boards list in the Arduino IDE. Get XBoard V2 -A Bridge Between Home And Internet (Arduino Compatible) from DFRobot Store or DFRobot Distributor.